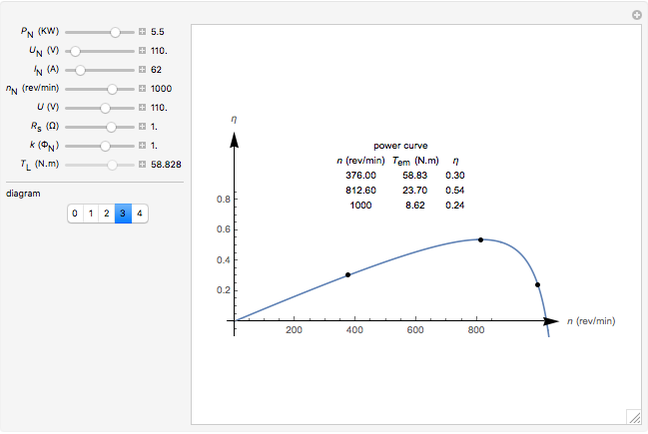 This Demonstration shows a series of rotation rates versus electromagnetic torque curves for separately powered DC motors. 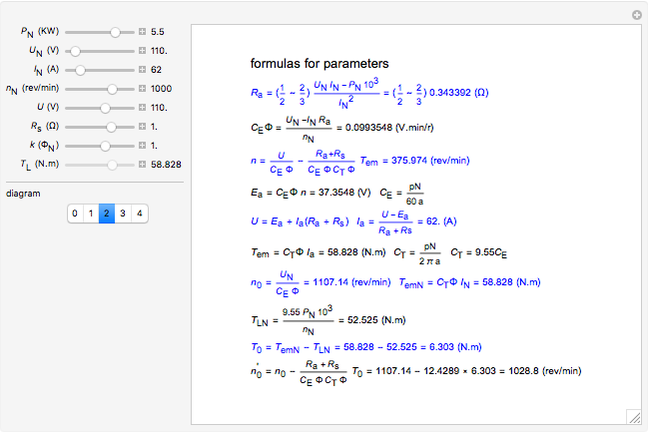 Detailed formulas for the relevant variables are also displayed. You can vary the parameters to see how they interact. Xu-Xiaofen, Electric Motor and Drive [M], (in Chinese), Beijing, China: Higher Education Press, 2007. 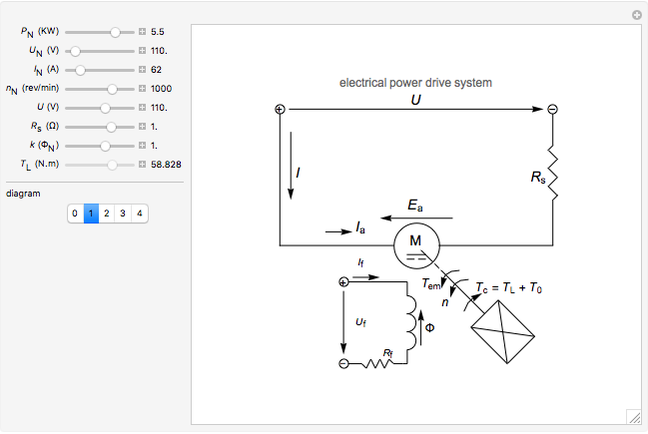 "Types of DC Motor Separately Excited Shunt Series Compound DC Motor." electrical4u. (Jul 31, 2017) www.electrical4u.com/types-of-dc-motor-separately-excited-shunt-series-compound-dc-motor. S. J. Chapman, Electric Machinery Fundamentals, 4th ed., New York: McGraw-Hill, 2003. Anping Zeng "Torque and Speed Characteristics of Separately Powered DC Motors"